Make a statement in chic print with this top from Marie Claire. 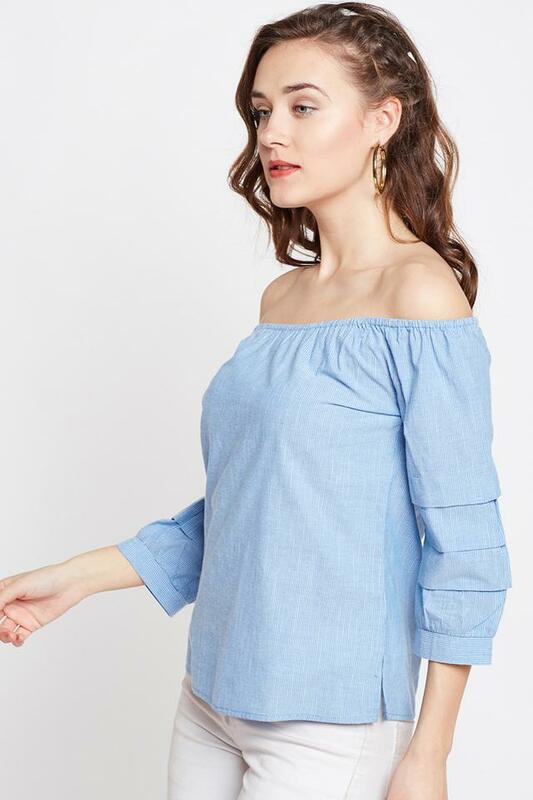 Made from cotton fabric, it will provide you with immense comfort throughout the day. 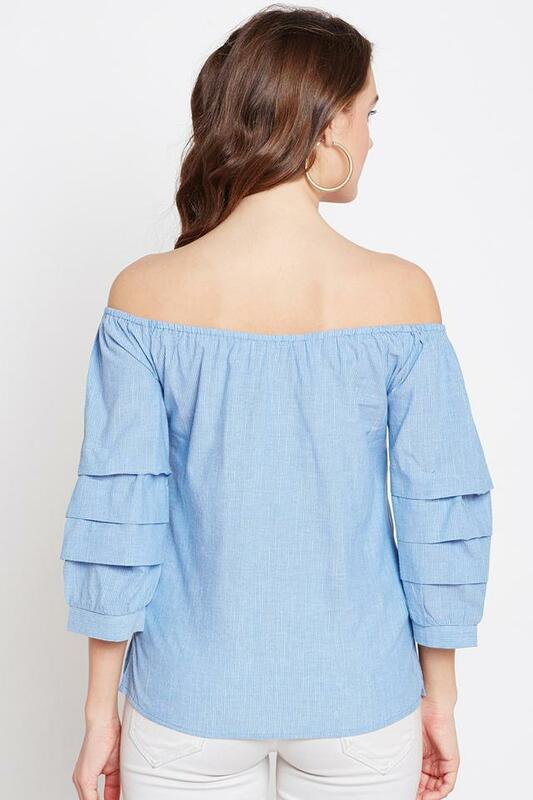 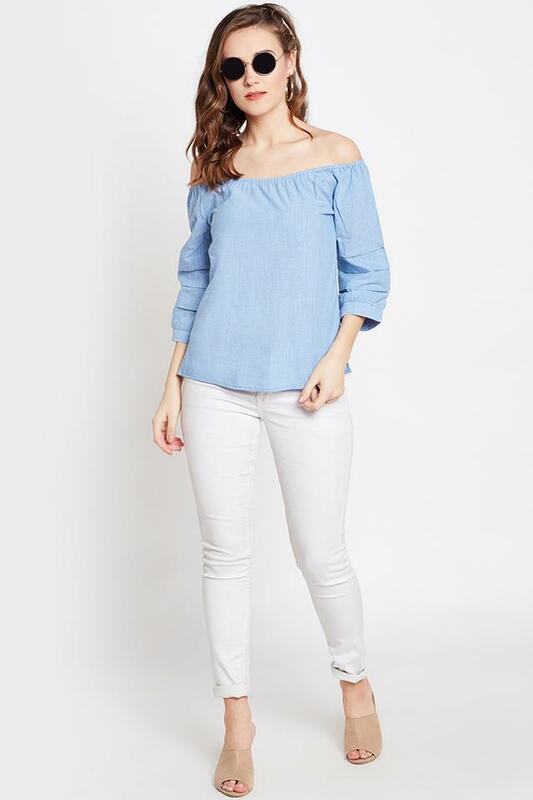 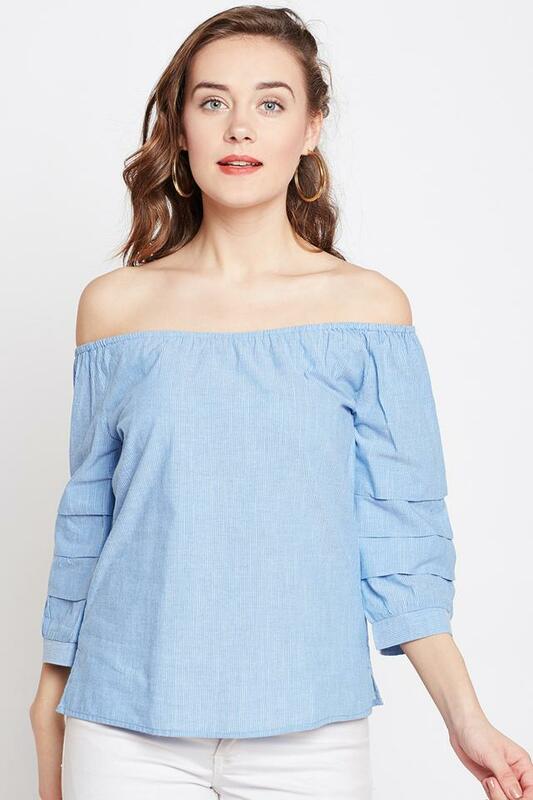 Featuring a off shoulder neck and striped pattern, this 3/4th sleeves top holds a superlative charisma.